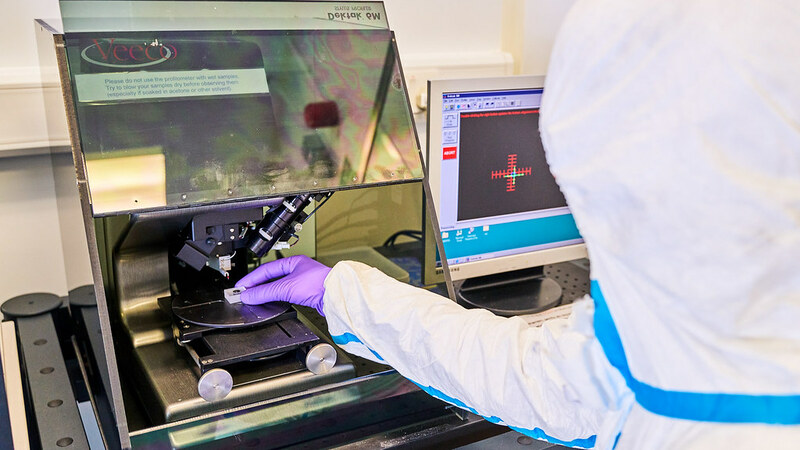 We provide access and training on specialist equipment for micro-scale and nano-scale fabrication for University of Bath researchers and external organisations. Our individual items of equipment can be used separately or in sequence to create micro- or nano-scale electronic or optical devices. 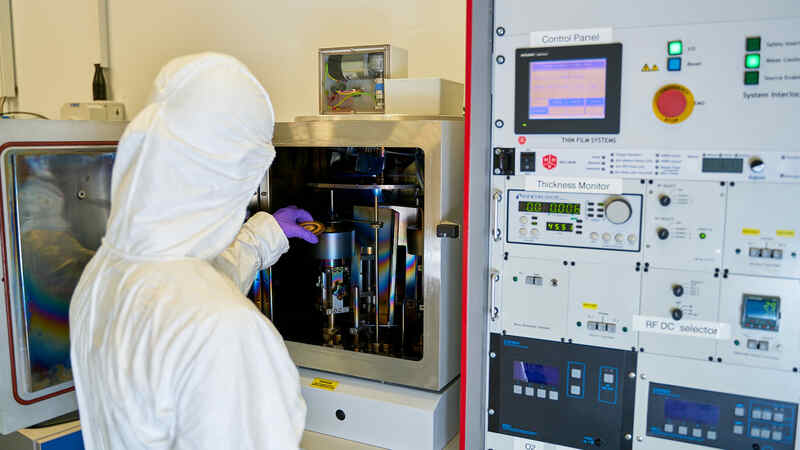 The David Bullett Nanofabrication Facility houses different photolithography tools that are available for internal and external users. The David Bullett Nanofabrication Facility houses various systems for the deposition of thin layers of metal and non-metal materials. The David Bullett Nanofabrication Facility includes facilities for the dry and wet etching of materials. 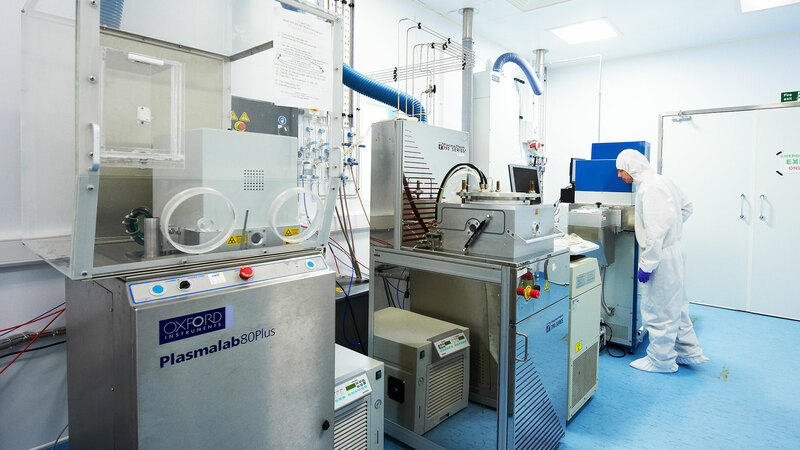 The David Bullett Nanofabrication Facility houses various tools for characterising the physical properties of materials. 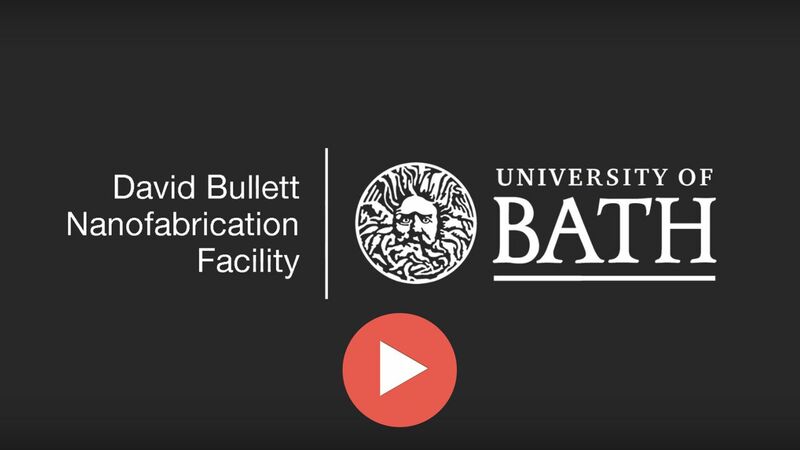 How staff and external users can access equipment in the David Bullett Nanofabrication Facility for processing and characterising materials and devices. 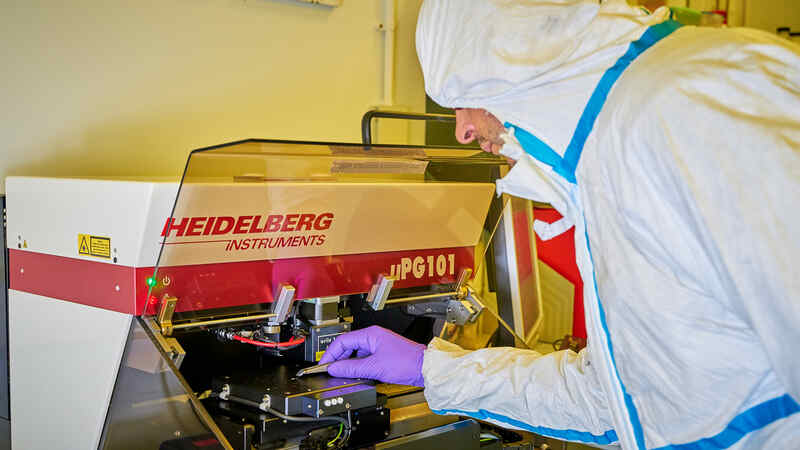 The David Bullett Nanofabrication Facility is available for use by companies that wish to benefit from the equipment and expertise that is on offer. 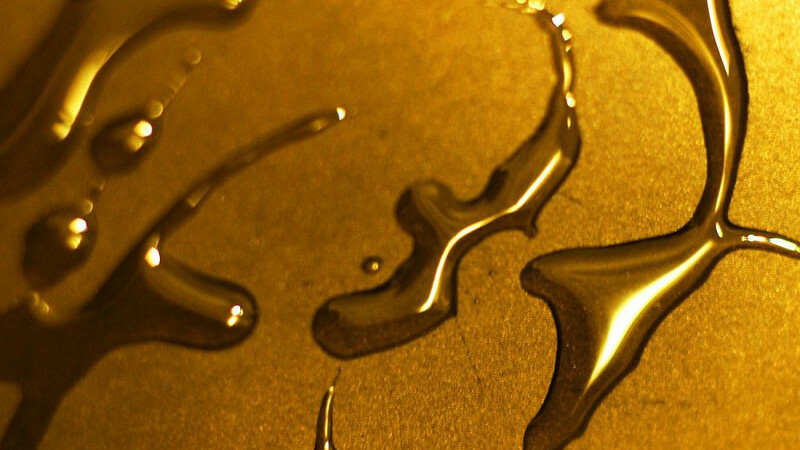 A team of researchers have magnetised gold in a process that could lead to a new generation of electronics and make computers faster, smaller and more powerful. 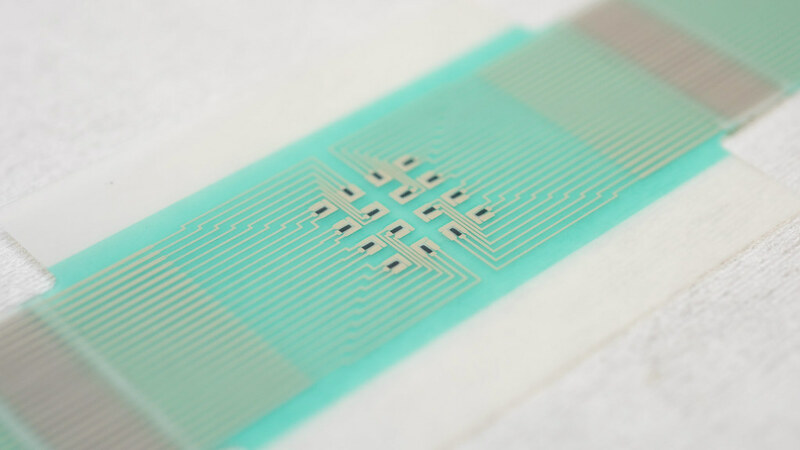 Scientists have created a non-invasive, adhesive patch, which promises the measurement of glucose levels through the skin without a finger-prick blood test. 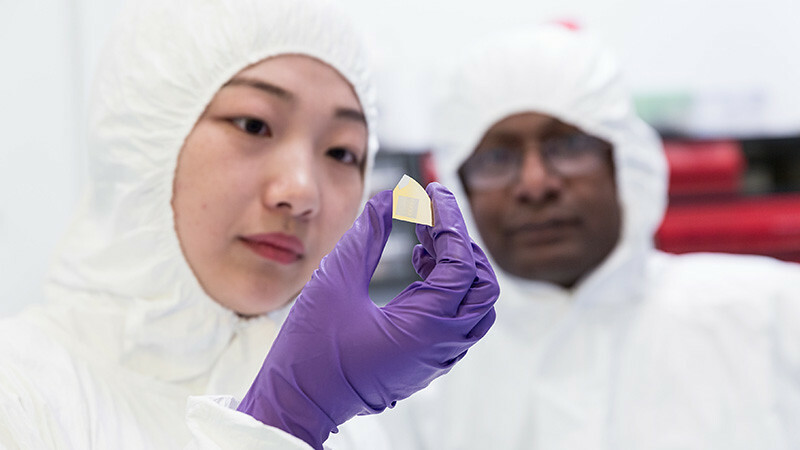 For her final-year project, Xiangyi Qi designed and manufactured a set of light-emitting diodes to celebrate Bath's expertise in energy-efficient lighting. 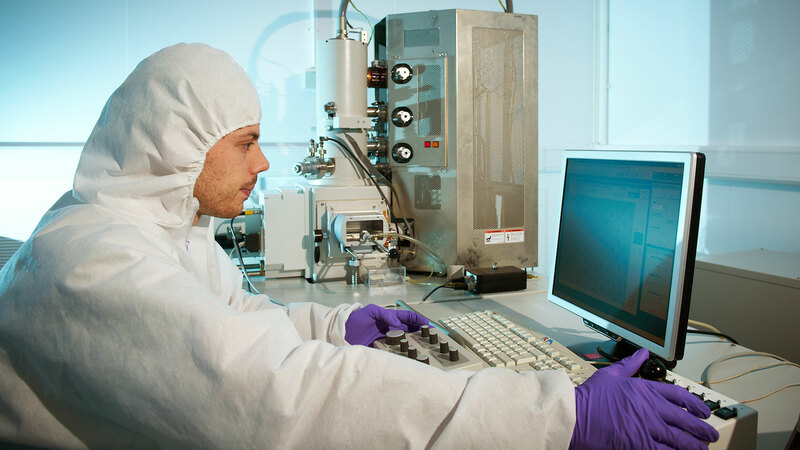 The nanofabrication facility is an ISO class 6 suite of cleanrooms that house specialist materials patterning, deposition and processing equipment. The equipment can be used separately or sequentially to create structures, for example, for studying the electronic, magnetic and optical properties of materials, as well as creating devices such as biosensors and light-emitting diodes (LEDs). If you wish to find out more about accessing these facilities and equipment, please contact the cleanroom facility manager.